Purchasing an above ground pool isn’t something you should just jump into based on impulse. After all, it will be a large and prominent feature in your yard and will serve as the site of many pool parties, get-togethers, and memorable sunny days. Plus, it’s not exactly a nominal expense, with most models costing hundreds or thousands of dollars, so you don’t want to commit to an ill-informed buying decision that you’ll later regret. Above ground pools come in a wide variety of shapes and sizes with a diverse range of features and accessories. With so many kinds to choose from you could quickly find yourself overwhelmed with options. Fortunately, we’ve drastically simplified the comparison process by creating this guide to cover everything you need to know and provide a categorized list of the best above-ground pools out there. The Intex Ultra Frame combines durability, aesthetic appeal, and easy setup to deliver a well-rounded package that provides enough space for the whole family to have fun. The kit includes a cartridge filter and pump system with a 1,500 GPH flow rate, as well as an exterior ladder that can support up to 300 pounds. It has a water holding capacity of 5,061 gallons and can be setup from scratch and filled in only 45 minutes. The puncture-resistant liner features a tile print interior that matches well with pool water for a seamless appearance and long-lasting durability. The Steel Pro Frame Pool Set from Bestway is a great economical option available in three sizes: 15-ft x 48-inch, 14-ft x 48-inch, and 10-ft x 30-inch. The largest size has a water capacity of about 4,200 gallons at 90% full. Design-wise it isn’t the fanciest above ground pool out there, but it’s easy to set up and the 3-ply PVC/polyester wall band ensure it is durable to last at least a few seasons. There’s a flow-control drain valve for pumpless draining. The frame is made of rust-resistant steel and is held together by ‘C’ clips and ‘T’ connectors that are covered by flaps to prevent wear and tear. If you’re looking for a minimal pool that gets the job done but won’t break the bank, the Steel Pro is definitely worth consideration. The Round Deluxe Pool Package from Splash Pools is available in two sizes: 18-ft x 52-inch and 24-ft x 52-inch. One interesting perk that this package offers is the included step-by-step installation video, making it an appealing choice for people who don’t like dealing with written instructions. It includes a 1HP pump, thru-the-wall skimmer, sand filter, a resin-based ladder with a swim-thru barrier and a removable exterior staircase. 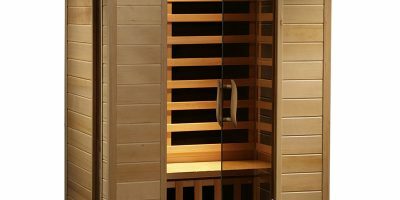 The liner is made of 20-gauge all-weather vinyl, while the steel frame is hot-dipped, galvanized, and equipped with multiple layers of protection. The pool itself is backed by a 15-year manufacturer’s warranty and unlimited customer support. The Intex metal frame pool comes in 3 sizes: 12-feet x 30-inches, 15-feet x 48-inches, and 18-feet x 48 inches. You can expect great durability with the pool’s triple-strong laminated sidewalls that are reinforced with an all-surrounding band to lock the frame legs in place. As a nifty bonus, the instructional DVD can help you set up and enjoy your pool within 45 minutes. Being able to hold up to 4,440 gallons of water, this pool includes a 110-120V Krystal Clear cartridge filter pump, ladder, ground cloth, and debris cover. For better water quality, the new dual suction outlet fittings provide an improved water circulation. When the fun is over and you need to drain the water, the convenient drain plug connects to your garden hose so the water can be drained away from the pool and your house. The Intex prism frame pool has all of the benefits you could ask for in a metal frame pool. With a durable structure and easy DVD-guided setup, the pool is enhanced with a firm powder-coated steel tubing while sporting a stylish upscale liner color. To prevent accidental holes, the walls are made of puncture-resistant 3-ply material. Thanks to the hydro aeration technology integrated with the included 110-120V cartridge filter pump (which has a flow rate of 2,500 gallons per hour), circulation and filtration are improved which provides better water clarity and increased negative ions on the water’s surface. Additionally, the pool also comes with a ladder, ground cloth, and debris cover for your convenience. Ideal for lap swimmers and pool parties, the Intex 32′ x 16′ x 52″ Ultra Frame rectangular pool combines strength and value with a sleek grey design that adds beauty to any backyard. Assembly is pretty straightforward for all you do is lay out the pool liner on flat, level ground, put together the frame, and then fill the pool up with water. All of the rust-resistant metal beams and joints snap into place for a less stressful construction. What comes with the pool is the Krystal Clear sand filter pump, a ladder, debris cover, ground cloth, and installation DVD. The powerful Intex 2800 GPH sand filter pump comes with the pool and only needs routine backwashing and replacement sand every 5 years. As an almost endless source of outdoor fun for families with kids, the Bestway Deluxe Splash frame pool is effortless to assemble, taking up to 20 minutes with 2-3 people helping. For a sturdy structure while kids are at play, the reinforced rope wraps around the bottom of the pool liner to keep the legs locked in position. The pool is made of a rust-resistant galvanized metal frame with a 3-ply polyester mesh inner lining to prevent any mishaps and accidental holes. For easy draining, the 43-pound pool has a flow control valve making it so you don’t have to drain the water near the pool. It’s able to hold up to 871 gallons (or 3,300 liters) at 90% capacity, and due to its smaller size, it’s able to fit in more modest backyards. The Intex Rectangular Prism frame pool is fun for the whole family and is ideal for smaller backyards. With its unique cool blue/gray color and white trim, strong powder-coated steel tubing, puncture-resistant 3-ply material, and mosaic-tiled inside liner, this pool provides hours of fun with less stress about leaks and holes. The Hydro Aeration Technology pump improves circulation and filtration in the water for better water clarity and increased negative ions at the water’s surface. Along with the pump and filter, a ladder, ground cloth, debris cover, and assembly DVD is included, and the drain plug allows for convenient draining when it’s time to empty the pool. This deep oval-shaped above ground pool has everything you need to start swimming and cooling off. It features a galvanized G-90 steel wall with a strong multi-layered protection system, and the aesthetically pleasing wall pattern plays into the sturdy 7″ painted galvanized steel frame with zinc-coated hardware. The pool’s Perma 25 series all-weather vinyl protects it from whatever nature has to throw at it and additionally included with the pool is a heavy-duty resin ladder with a flip-up outside staircase, a 19″ sand filter with a 1 HP pump, an installation DVD, and a 25-year manufacturer’s warranty. 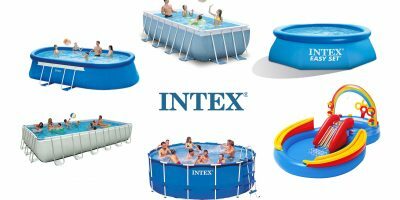 The Intex Easy Set pool can be ready to go in 30 minutes after simply spreading it out on level ground, inflating the top ring, and finally filling the pool with water. It’s readily equipped with the Ground Fault Interrupter, a nifty safety feature that stops the pump if an electrical current makes contact with water. The pool’s super-tough laminated PVC sidewalls prevent leakage and the new dual suction outlet fitting make for improved water circulation resulting in cleaner and more hygienic water. This large family pool can hold up to 5,455 gallons at 80% and includes a 1,500 gph Krystal Clear cartridge filter pump, ladder, ground cloth, and debris cover for your convenience. The setup and maintenance DVD will guide you in setting up the pool and the drain plug connects to a garden hose so you can drain your water away from the pool. 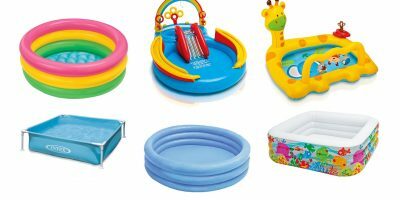 For a quick and painless setup, the Summer Escapes Quick Set ring pool simply requires to you to have a level ground, inflate the top ring, and lastly fill it with water. For varying backyard spaces, the pool comes in three sizes; 10-feet x 30-inches, 12-feet x 30-inches, and 15-feet x 42-inches. The strong vinyl pool can hold up to 900 gallons of water (or 3,407 liters) when it’s 80% full. It additionally comes with an RP600 pump with GFCI protection. Big enough to fit at least 1 adult and 2 children, cleaning the pool is simple since it has an all-in-one chlorine cleaner. This pool is the latest in resistance swimming for those who like to train or simply enjoy swimming for leisure, and it can easily fit into your basement, garage, or backyard due to its 6-square meter footprint. For durability, the pool is made up of a zinc-coated galvanized steel frame and five-layer vinyl-coated polyester weave liner, which is the same material used in river rafts and artificial lake beds. The patented dual-tether system allows you to adjust resistance with the simple turn of a knob. Provided with the pool is a stainless steel lockable ladder, a 2,500 gph filter pump, a 5.5kw heater, floor sheet, repair kit, and vinyl cover. 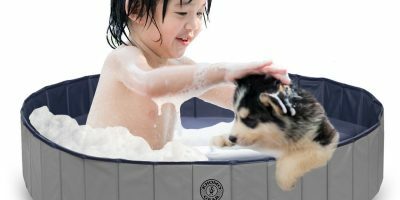 For those days you need to exercise or relax, you can set up the easily portable iPool Deluxe Exercising pool in about an hour. Before we get into the size, shape, configuration, and other notable components of above ground pools, let’s start with the most fundamental feature – materials. 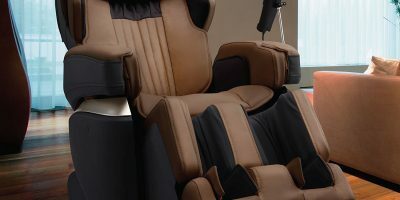 Each type of material presents its own unique advantages and disadvantages, so it helps to become familiar with these before making your selection. Resin-based above ground pools are made of plastic-like materials that allow for a sleek appearance and superior flexibility. The durability and resistance of resin provides a number of benefits but it also comes with a couple of caveats. Some resin pools are comprised primarily of resin-based materials, but most are actually a type of hybrid that uses a combination of resins, metals, and woods. A proper coating must be applied or it will eventually crack and flake when exposed to cold weather and UV rays. Steel is one of the cheapest heavy-duty materials used in the construction of above ground pools. It is often used in conjunction with epoxies and resins behind the pool liner to safeguard from erosion. Susceptible to oxidization and corrosion. Newer pools use steel beams that are dipped in hot zinc and given vinyl coatings to prevent this. Aluminum is commonly used in above ground pools because it’s cheap, lightweight, and resistant to the elements. Hybrid above ground pools utilize a combination of steel, resin, aluminum, and other materials. These are the most common kinds found on the market today. Above ground pools come in a variety of shapes, depths, and sizes, so the first thing you’ll want to do is decide how much space you’re planning on using and which shape would best accommodate the given area. Use your discretion to determine whether a circle, oval, rectangle, or square would be the best fit. In terms of water depth, 54 inches is the deepest you’ll find, but many of these models will also have a shallow end thanks to the pool’s interior molding. As you’d expected, there’s a huge range of sizes to choose from, spanning from small personal exercise pools to massive Olympic size above grounds. Regardless of your yard size, you should be able to find a pool that fits snugly into the designated space. 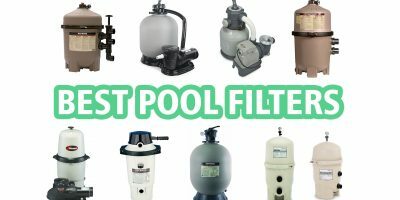 We have actually also written an article dedicated to Pool Filters incl. reviews! Pump Power: The first thing you’ll want to consider when choosing a a pump and filter system is the horsepower of the pump. If your pool is going to be less than 24 feet in diameter, then a 1 HP pump should get the job done. If your pool is larger than 24 feet in diameter then you’ll need a 1.5 HP pump. Don’t opt for the stronger pump if you have a small pool because a pump that is too powerful for the pool size can cause the water to flow too quickly to be properly filtered while also wasting electricity unnecessarily. 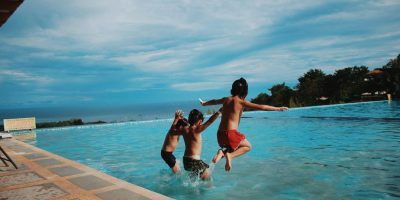 Ensure Compatibility: It’s important to make sure you’re getting a pump that is designed specifically for above ground pools and for the size of your pool. Pumps made for in-ground pools function differently and are therefore not suitable replacements or alternatives for above ground pool pumps. Dual Speed vs Single Speed: Conventionally, most pumps ran at one constant speed. 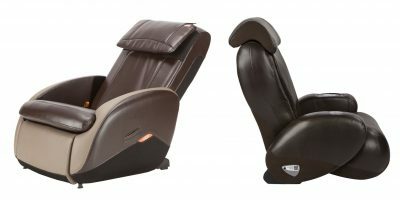 However, recently many manufacturers have been offering dual speed models that have a high and low setting. Having a lower speed setting can be useful for conserving energy, and as such dual speed pumps are now required by law in many state including California. An added perk is that the lower speed setting in a dual speed pump is much quieter during operation than the typical high setting found in single speed pumps. Sand-based filters are the oldest and most popular filtration method used in above ground pools. These filters utilize pool-grade silica sand that is about .45-.55 mm in diameter, which is typically sold at home improvement and hardware stores. Sand filters are the cheapest option, hence their longstanding popularity, but they can’t filter particles smaller than 20 microns, so they’re not the most effective choice in terms of sanitation. Cartridge filters look a lot like large coffee filters, with a similar folded paper appearance. These filters use polyester fibers to capture particles as small as 10 to 20 microns. They can also be removed and cleaned by pressure washing for repeated use. However, each cartridge is typically more expensive than the other two types of filters. DE filters are the most advanced and most expensive pool filters. They can trap particles as little as 3 microns and use extremely fine diatomaceous earth powder made of fossilized plankton to do so. The next step in choosing an above ground pool is to decide which kind of liner you’ll be using. The main types of pool liners used in above ground pools are beaded, overlap, expandable, and Uni-Bead (or J-hook) liners. Beaded liners connect to a bead rack the runs along the interior perimeter of the pool. Overlap liners, as their name suggests, overlap the exterior wall of the pool and are held in position by plastic clips. Uni-bead liners can be used as either a beaded or overlap liner, as the J-hook can be removed to convert it into a beaded liner. Expandable liners come with adjustable portions that can accommodate above ground pools with deep ends. Generally the liner will come included with your pool, but it’s good to become familiar with the different types in case you ever want or need to replace the liner in the future. Some above ground poos will include a pump/filter system as well as a small supply of sanitation products to get you started. However, as the pool owner you have the option of using either chlorine or one of the many alternatives that are now available. Some methods you may want to consider include salt chlorine generators, ozonators, and ionizers. It’s important to spend a bit of time researching a variety of sanitation system to ensure you’re choosing one that will suit your preferences and pool maintenance needs. We have actually also written an article dedicated to Pool Ladders and Steps incl. reviews! Of course, the way you enter and leave your pool will affect the comfort and enjoyability of using your pool, so it’s imperative to ensure you have steps or a ladder on both the interior and exterior for maximum convenience. An A-frame ladder is a popular choice because it gives you an exit and entrance in one piece. A pool ladder is a good exit option if you already have a set of steps or a ladder on the outside. Many pool owners opt to have a ladder on the outside and steps on the inside, or steps o both the inside and outside. Ultimately, it’s a matter of personal preference and budget, but it’s good to be aware of all your options in this department as well.